Facebook is Dead? Re-examining Social Media Assumptions – praxMatrix Digital Publishing Ltd. 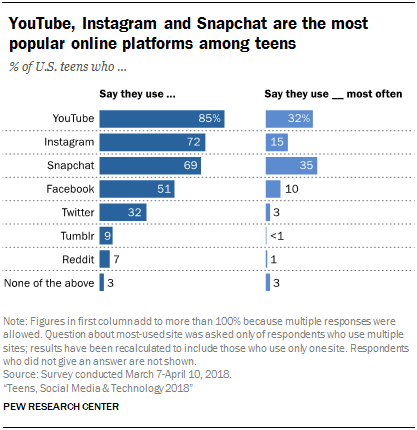 Since this article was first published in January 2015 there have been significant changes in the use of Facebook by teens (according to a just released Pew research report). Facebook has now slid to fourth place behind YouTube, Instagram and SnapChat. See the Pew Research Center findings here. This doesn’t, of course, mean that Facebook is dying a slow death but may suggest a slow mutation of the way that Facebook is used and Facebook’s demographic. Daniel Miller’s (Global Social Media Impact Study Blog from UCL) suggests that the bigger picture may be a lot more complex. Social media, and with it the use of Facebook, is underscored by a number of assumptions that are, it seems, dangerous to hang onto for too long. The social media landscape while perhaps not a minefield is certainly one characterised by rapidly shifting sands that constantly efface and replace assumptions based around patterns of its usage and users. KEY INSIGHTS LIKELY TO BE OF INTEREST. 1) People assume that platforms such as Facebook homogenize the world, we show that actually regional usage turns the same platform into totally different genres for each site. 2) People think that social network sites such as Facebook are just the latest extension of the Internet. We show that in most important respects, Facebook is better understood as the very opposite of the Internet. The internet fostered specialist groups, Facebook brings groups into the same space. The internet fostered anonymity, Facebook the lack of privacy etc etc. 3) Sites such as Facebook seem to reverse what has assumed to be the most fundamental trend of modern life, the rise of fragmented individualism. Such sites leads to re-connections between people but this happens in different ways within each region. 4) In most studies we use the wider context and lives of people to shed light on the thing we study. In this case it is the topic we study, social networking, that sheds unprecedented light on the private and intimate lives of people and the wider contexts. In effect our nine studies provide the deepest portraits available of ordinary people’s lives in our contemporary world. 5) There are huge, largely speculative or anecdotal debates about the impact of social media on developments such as politics (Arab Spring) and crime. For the first time we can give a more authoritative account of what such sites do and do not contribute. 6) Almost all writing about new social media coming from the UK and US etc assumes we live in a network society and social media is all about bonding between individuals. But our work shows that in many parts of the world this is wrong. Other units such as family or ethnicity remain hugely important, and in practice people can only become friends with a whole family not with just an individual.